Want to add a spark of originality to your website or graphics? Hand-lettered fonts are just the thing. Fonts that look hand-made are a great way to make your site feel more comfortable and personal. And, they go well on almost any type of website. If you’re ready to amp up the personality of a webpage, logo or banner, take a look at these gorgeous hand-lettered brush fonts, sure to dazzle and inspire! Knewave is a beautiful font sporting bold strokes and a neat, painted aesthetic. 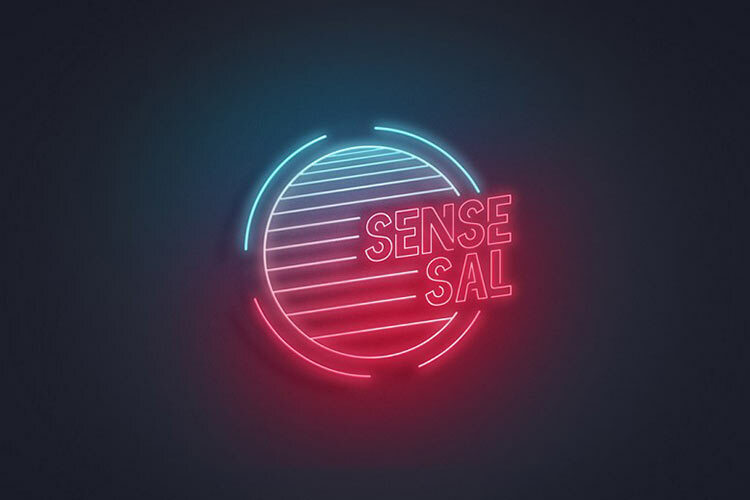 This is the sort of font that looks amazing in graphics like logos or banners. Make sure to also try out the outline version! This script font is perfect if you’re looking for that elegant aesthetic. Big loops and careful brush strokes make this ideal for only the most sophisticated websites. You can pay what you want (including nothing) for a personal license, or purchase one for commercial use. Named after a type of samurai sword, Odachi is cutting edge font that’s perfect if you need something a little rougher. Odachi looks like a grungy calligraphy, carefully designed but with little scrapes and scratches that make it unique. Looking for something a little cleaner? Merienda keeps the brush-stroke look but is significantly more polished than many handwritten fonts. It comes with a regular and bold style which you can download for free, or use on your site via Google Fonts. Beautiful imperfections are what handwritten fonts are all about. Sophia is full of these: Letters slant and tilt randomly just like actual handwriting. This font isn’t perfect, but that’s what makes it beautiful! It also comes with two cute decorative symbols. Here’s a font suitable only for the most elegant websites. The cursive-like typography is so elegant and stylish that people will think you painted it yourself. To get it for free, you just need to subscribe with your email address. Boomville is all about personality. The connected cursive font has a light-hearted feel, which is great if you want your graphics to look more animated and fun. You’ll need to buy a license to use it in commercial projects. This textured font was manually painted and underwent very little editing to give it that authentic hand-made feel. The strokes are wide and bold, making this great for those branding projects you want to make sure people remember. A handwritten font you’re sure to fall in love with, Caveat Brush is simple but beautiful. Many of the letters come with design variations, which will make it look like actual handwriting on your site. Download it or serve it right from the Google Fonts API. An informal font, Calafia was inspired by left-handed lettering. This is a font that looks perfect in product advertising, with its friendly and relaxed, but carefully drawn, appearance. Make sure to buy a commercial license if you need it. If you love cursive fonts, Mission Script is perfect for you. This font is perfectly well-rounded – it fits a variety of tones, from business-like and sophisticated to free and casual. Try it and fall in love with its universal appeal. Pay what you want for a personal license. You’ll never forget this beautiful rugged typeface, painted with a thick brush before being converted to a font. Each letter is wonderfully detailed, with every little stroke and drop of paint visible. 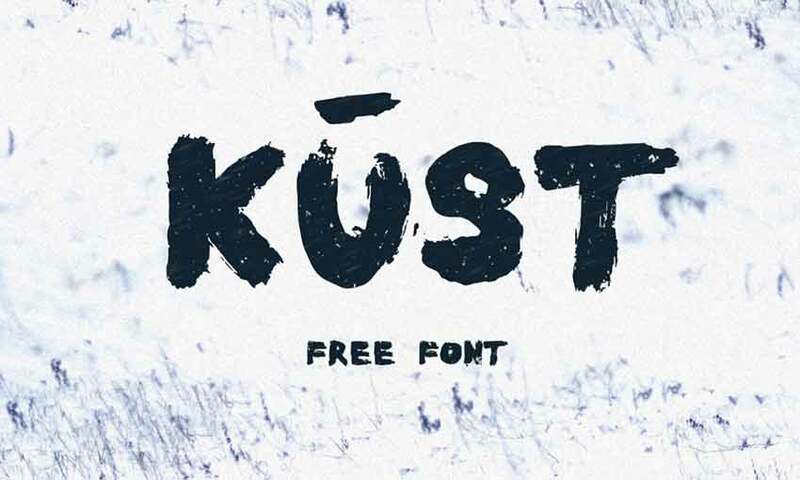 Kust is a bold font that will look best in large to gigantic font sizes, so go crazy! Using hand-drawn fonts can instantly make a website seem familiar to visitors. This makes them perfect for blogs, small businesses or any website that wants to feel a bit more casual and easy-going. Even professional websites could benefit from using hand-lettered fonts in its graphics or scattered briefly throughout the site. So, give these free brush fonts a try in your next design project! You’ll love the sense of style and friendliness they can bring.